Star Parties are a great opportunity to meet other astronomers and hopefully (weather permitting! ), do some observing under darker skies than most of us have to put up with at home. I thoroughly recommend that beginners and experienced amateurs alike attend one of the larger star parties at least once. It’s the best chance you’ll ever have of seeing a big range of equipment and people who are using it. If you’re not into camping then just visit for a day and evening. 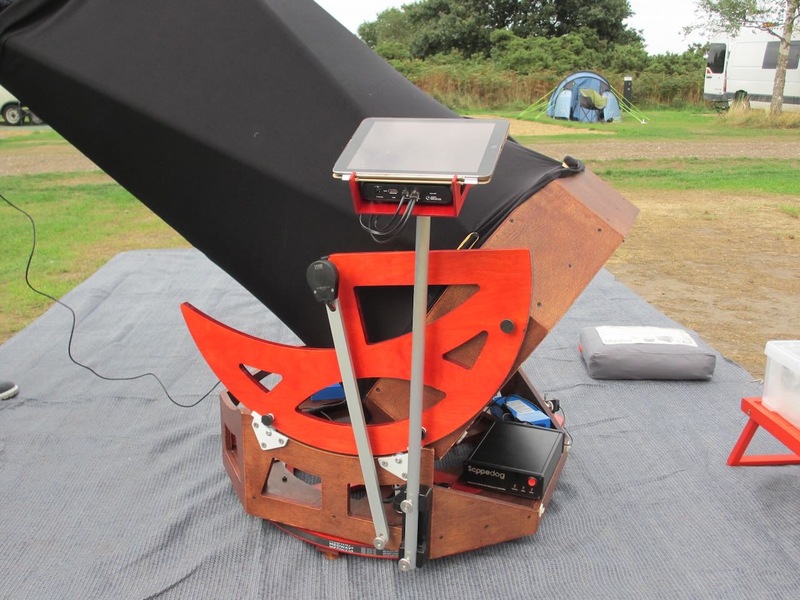 The�Equinox Sky Camp�is the largest Star Party held in the UK. Formerly staged at Thetford, it is now runs twice a year at Kelling Heath Holiday Park on the North coast of Norfolk. Skies are quite dark, facilities excellent but weather can be variable! It’s not all astronomy too - the photo top left is some of the ladies have a very civilised tea and cake party! The�Kielder Forest Star Camp�is held at a truly dark site just south of the England/Scotland border. A good campsite (if its not raining!) with adequate facilities. 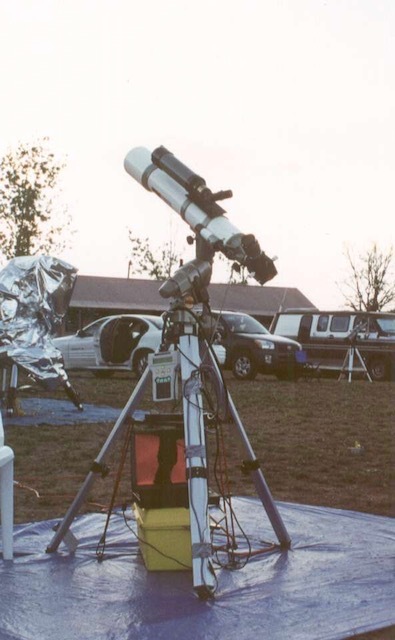 The�Observatory Science Centre�has run an Astronomy Festival for the last few years. Camping is basic and the skies are not very dark, but the opportunity to observe in the hallowed grounds of the old Royal Greenwich Observatory plus look through some fine old instruments is unique. I was in LA one week on business and discovered the small town of Yucca Valley was holding a Starry Nights Festival that weekend. It’s a great event but mainly for locals. My visit was notable for a 7.1 earthquake in the middle of the night! Also shown is my favourite means of getting from the airport to the ranch - a red mustang convertible! There is quite a lot of wildlife at the ranch too - horses, havelinas, birds and skunks, (they arent�actually a�problem and are really beautiful). The Winter Star Party used to be held at the bottom of the Florida Keys and hence presents a good slice of the southern skies (down to -66 degrees declination!). Seeing is generally regarded as being outstanding, which more than makes up for the small amount of light pollution. The horizon due South was looking out over the sea! Photo bottom left gives you some idea of this�fantastic setting. After a big storm, the venue has changed.